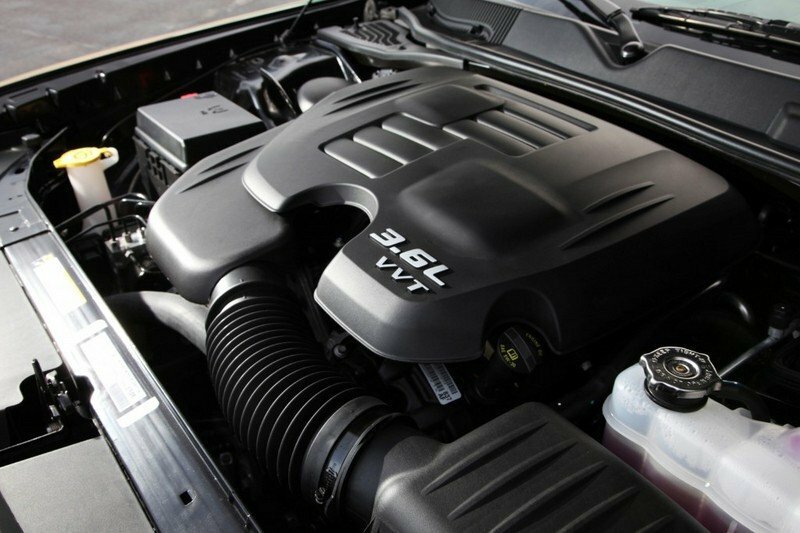 Say a driver loves the way the Challenger R/T or SRT8 looks, but is not down with driving around town with a high-output V-8 engine under the hood. For a while, customers were stuck with either the SXT or SE model, both of which are rather bland in styling when compared to the R/T and SRT8. 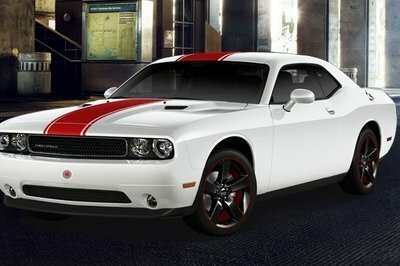 Dodge came to bat by releasing the all-new 2012 Challenger Rallye Redline. This mid-level 2012 Challenger features Dodge’s 3.6-liter Pentastar V-6 engine, just like the Challenger SXT . This means drivers are not going to be able to go out there and compete with the likes of the Mustang GT and Camaro SS when it comes to performance. However, they will also not be pulling over at every other gas station to top up at $4.00 per gallon like they would in these high-performance models. 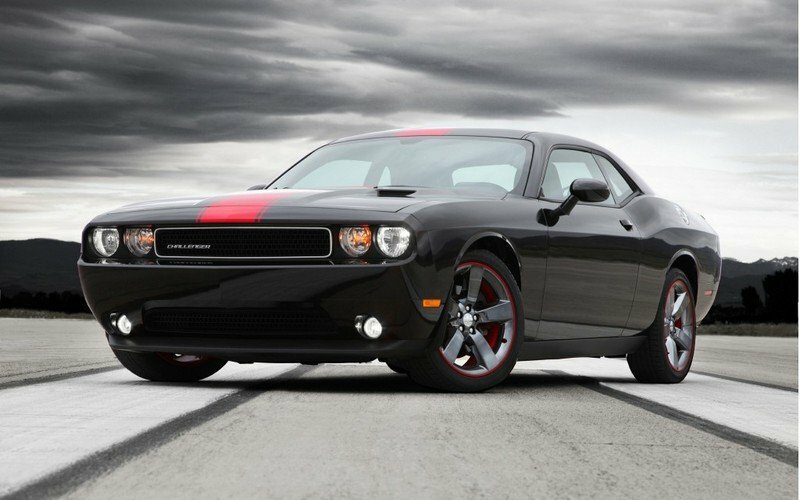 Pitting apple against apple, the 2012 Challenger Rallye Redline just might be a formidable foe for the V-6 powered versions of the 2013 Ford Mustang and 2012 Chevy Camaro. 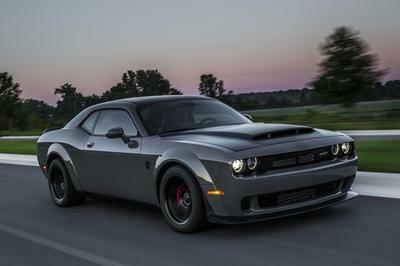 Let’s see how this newcomer to the Challenger lineup holds up against these other members of the 300-horsepower V-6 muscle club. We may be surprised how a few slight modifications can put one car ahead of the pack. 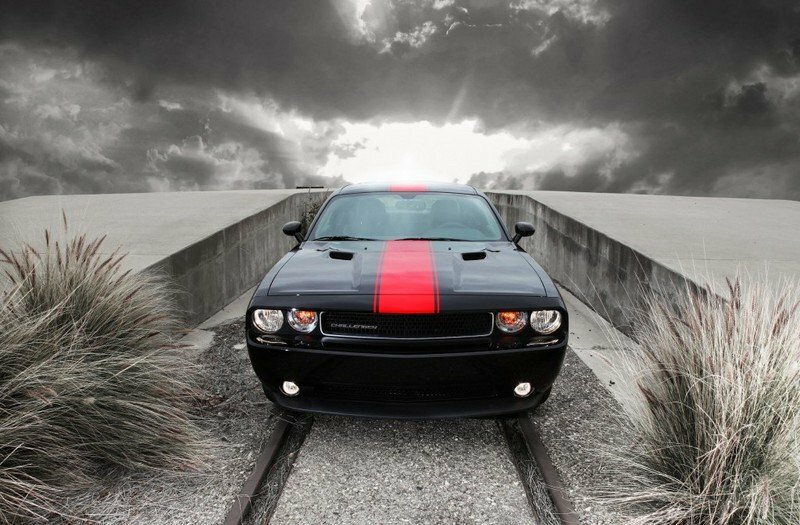 Hit the jump for more details on the 2012 Dodge Challenger Rallye Redline. From the word “go” the Rallye Redline is just a sick looking car. It screams “custom car” to those that do not realize it is actually a production vehicle. It has four optional exterior colors: pitch black, bright silver metallic, bright white, and tungsten metallic, which is like a pewter color. All three colors come with a thick red racing stripe painted directly down the center of the vehicle, front to rear. 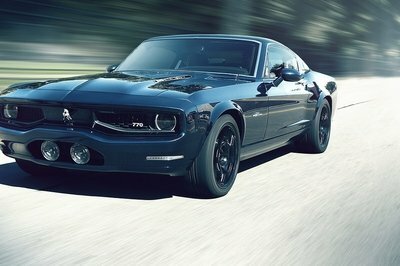 It also features the Challenger’s signature nostrils on the hood, along with a front bumper lip and a rear spoiler. 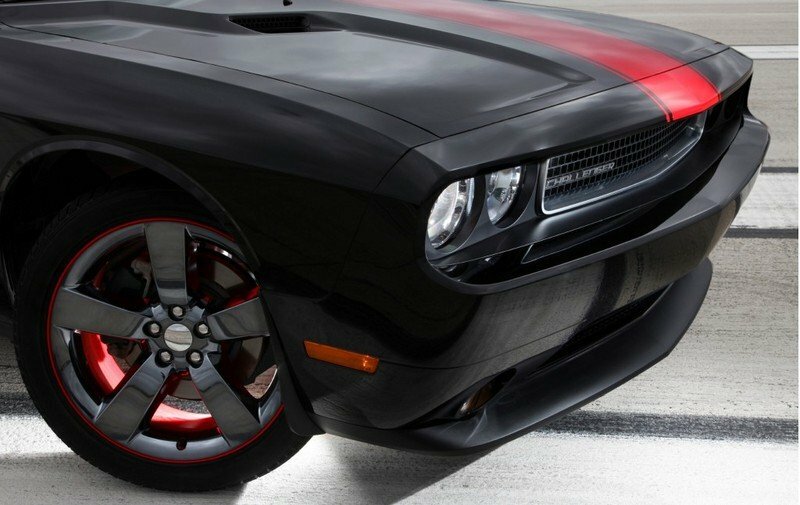 In addition to the beautiful paintwork, the 2012 Challenger Rallye Redline also features a set of aluminum 20-inch rims. These aren’t just any rims either, as Dodge painted them all pewter with a red stripe around their circumference, staying true to the “Redline” name. Come around to the rear of the Challenger and - what’s this? - there are dual rectangular exhaust pipes staring at you, giving it the appearance of an R/T model to an outsider. Inside the 2012 Challenger Rallye Redline are leather seats in either red or slate gray. The dashboard area is very simple and clean, dang near classic looking. Some people may find this a little too simple, but we honestly prefer little clutter and a conventional looking dashboard. For entertainment, this vehicle also features a six-speaker Boston Acoustics stereo system with a 276-watt amp and SiriusXM satellite radio. 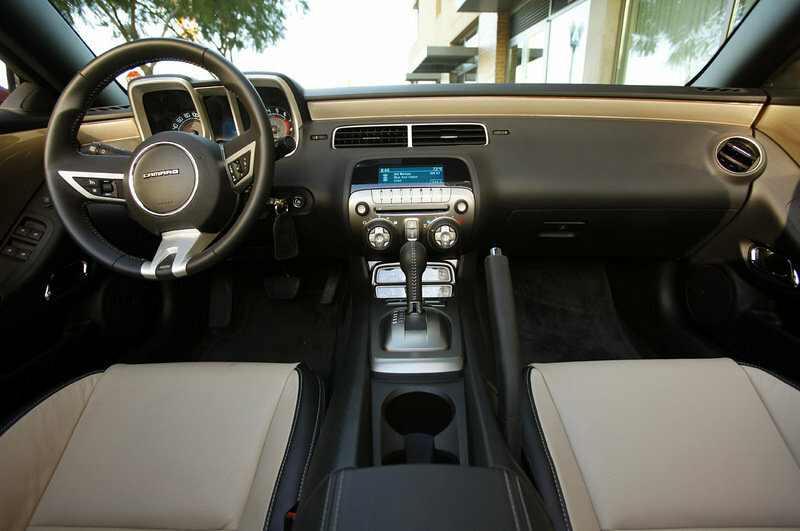 It also has a console-mounted USB port with iPad control, as well as Chrysler’s Uconnect voice control and Bluetooth streaming audio capabilities. 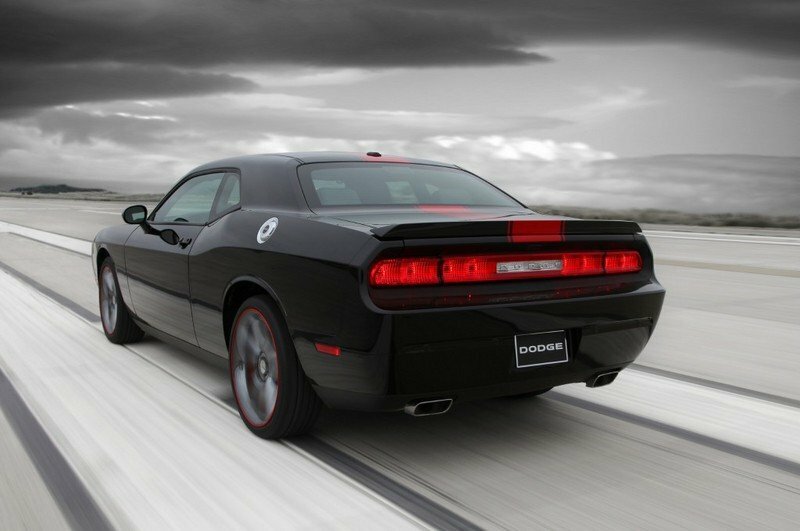 A 3.6-liter Pentastar V-6 engine that punches out 305 horsepower at 6,300 rpm and 268 pound-feet of torque at 4,800 rpm powers this 2012 Dodge Challenger Rallye Redline. Though this is the same engine the SXT has, it should be a tick faster to 60 mph than the SXT’s 6.8-second time, thanks to a 3.06 axle ratio compared to the SXT’s 2.65 ratio. What this ratio means is that for each revolution of the driveshaft, the wheels turn 3.06 times, as opposed the 2.65 times of the SXT, which equals faster acceleration. As for the transmission, the Rallye Redline features a five-speed transmission with steering wheel-mounted paddle shifters, instead of the SXT’s standard “AutoStick.” The transmission also features a sport mode for more aggressive shifting, leading to even greater responsiveness. The engine and transmission combine to allow the Challenger to get 18 mpg in the city and 27 mpg on the highway. As if the Rallye Redline edition of the 2012 Challenger didn’t set itself off enough from the SXT, we left the best for last. Dodge focused heavily on the Rallye Redline’s steering, suspension, and braking, making it far superior to the SXT. It started off with the addition of the Super Sport Group suspension system, which includes 42% stiffer shocks in the front and 22% stiffer ones in the rear. Dodge also increased the thickness of the front and rear stabilizer bars to help prevent body roll through the twisties. The Rallye also gives the driver a better feel of the road, as its steering is 25% quicker to respond than the SXT’s and feels 20% heavier on center. Dodge threw in a set of 245/45R20 V-rated high-performance, all-season tires on each corner to round out its stellar handling. What good is driving fast if you cannot stop the vehicle? That is something my dad taught me as a young driver. Well, Dodge took care of that by slapping dual-piston front brake calipers in the place of the SXT’s single piston calipers. Dodge wrapped it all up by increasing the front rotors to 13.6 inches in diameter and the rear rotors to 12.6 inches in diameter. The larger the rotor, the more heat dissipation; the more heat dissipation, the quicker the vehicle can stop. The 2012 Challenger’s base MSRP is $28,745, plus whatever dealer fees are applicable in your area. As you can already see, the 2012 Challenger Rallye Redline is very well equipped from its base MSRP, so there are not many options to choose from. Let’s use Dodge’s “Build My Own” feature to see what kind of goodies we can add on. On the outside you can only choose two options, one of which makes no sense to us. First is the power sunroof, which comes in a $995. The second one, which is the nonsensical one, is the spare tire delete. This feature eliminates the spare tire and replaces it with a can of fix-a-flat, essentially. This will save you a whopping $75 – yeah, not worth it. Onto the inside of the car we go. The first interior option is the Sound Group II, which adds in a 40 GB hard drive – huh, a car with a hard drive – a 6.8-inch touch screen display, a seven-speaker sound system with a subwoofer, an upgraded radio with 368-watt amp, and steering wheel-mounted audio controls. This option comes in at a cool $1,115. 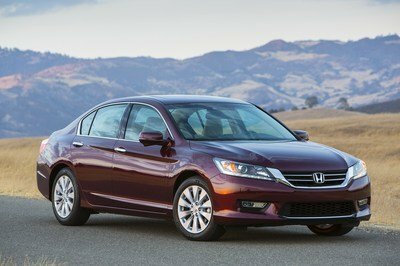 The Electronics Convenience Group adds in power heated mirrors, remote start, alarm, temperature and compass display, TPMS display (some form of TPMS has to come standard per federal law) and a universal garage door opener. This package comes in at $695. 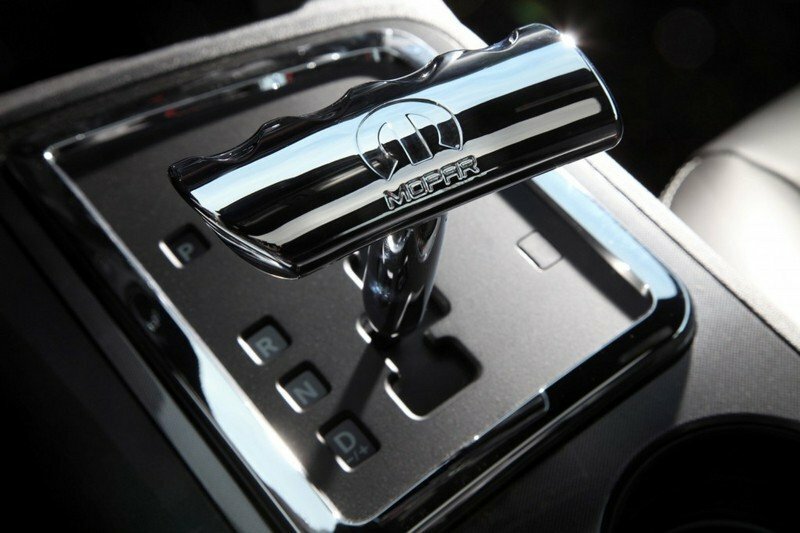 The Interior Appearance group by Mopar runs $945 and includes bright door sill guards, bright pedal kit, car cover, premium floor mats, and T-grip shifter. We assume “bright” in this package means chrome plated. The last and most expensive interior option on the 2012 Challenger Rallye Redline is the Premium Sound Group. This adds in an outrageous 12-speaker sound system and a 900-watt amp. This is for the audiophile in all of us. On the bad end, it appears to default the audio system to the base-level receiver, eliminating the touch screen and hard drive. Totally decked out, this impressive machine would run $32,800. Not too bad for a car bearing these high-end features and some pretty neat gizmos. 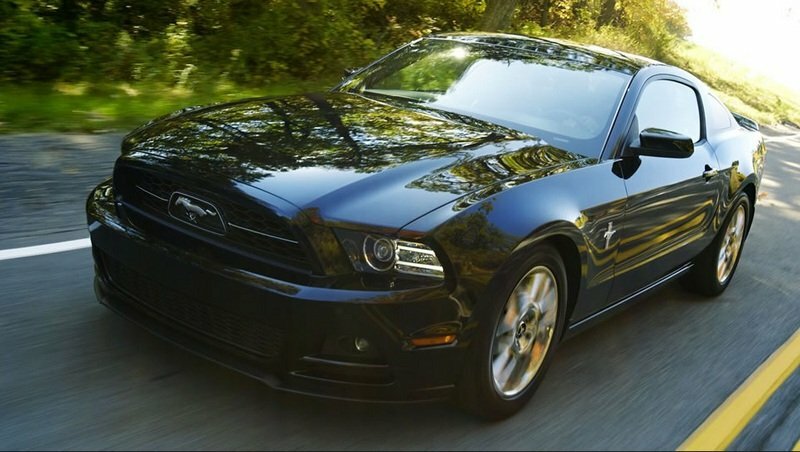 Now to enter the competition, which includes the 2013 Ford Mustang and the 2012 Chevy Camaro. To get the Mustang even to a similar level as the Rallye Redline, let’s use the V-6 Premium model. On the Camaro let’s use the 2LT version. 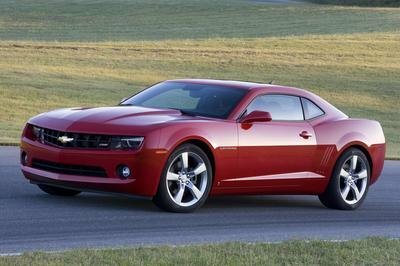 The Mustang V6 Premium includes a 305-horsepower, V-6 engine and a six-speed automatic transmission, while the Camaro 2LT includes a more powerful 323-horsepower V-6 engine mated to a standard six-speed manual or optional six-speed automatic. The Mustang and Camaro come in at 5.9 seconds and 6.0 seconds from 0 to 60 mph, respectively. Both are significantly faster than what I would estimate the 2012 Challenger Rallye Redline at, roughly 6.5 seconds. That said, let’s reserve judgment until the official numbers arrive. The fuel mileage differences between the three are negligible, as the Mustang gets 19 mpg in the city and 29 to 31 mpg on the highway. The Camaro gets 17 to 19 mpg in the city and 28 to 30 mpg on the highway. 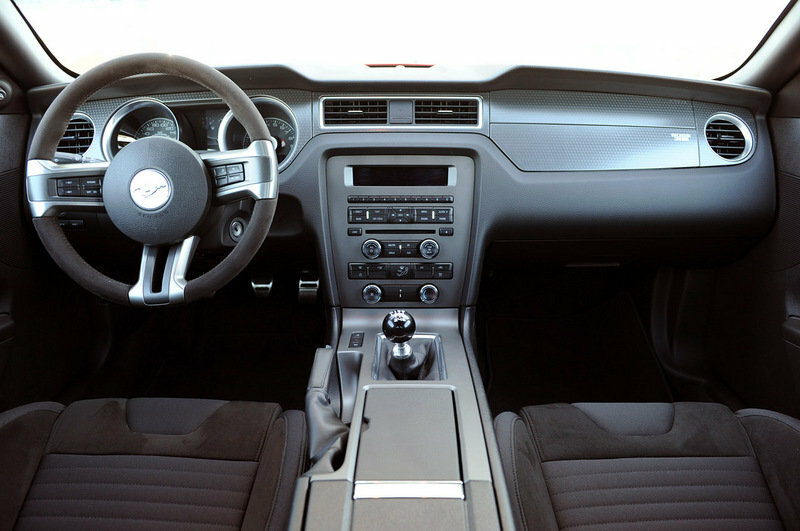 On the inside, the Mustang is fairly similar to the Challenger, featuring a very clean and clutter-free dashboard, but the Mustang manages to throw in a bit more of a modern look with its color schemes. The Camaro’s dash area on the other hand – sigh. I’ll be blunt and say it is downright in-your-face and too space shuttle-like for any classic car buff. Some people may love its curved look, steering wheel that looks like it taken from a sci-fi movie and gauge cluster that looks like a robot staring back at you. To each is their own, but I have to say the Camaro’s dash is a big failure. 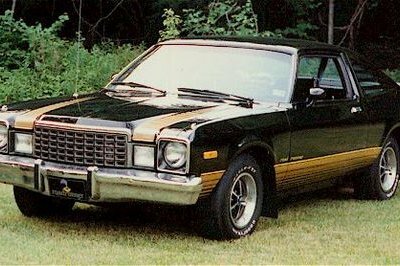 As for pricing and features, the Mustang comes in closest to the Challenger, when similarly equipped, at about $29,500, but the Camaro’s price had to be jacked up to $33,000 to match the Challenger’s features. This clearly puts the Challenger in the front of the V-6 race in pricing. 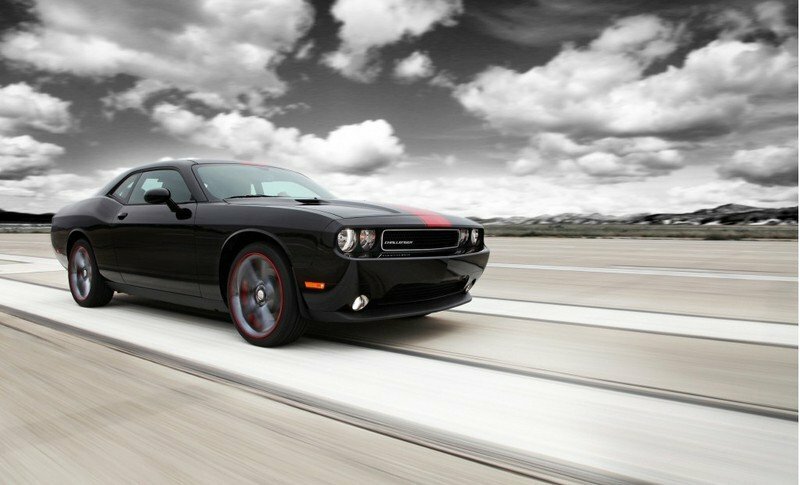 The 2012 Challenger Rallye Redline is not only a mean machine, pumping out 305 horsepower from just 3.6 liters of engine displacement, but it is also a refreshing revision to an already awesome car. Also take into consideration that depending on the number of these Dodge builds, it may become a collector item. It’s doubtful, but it is a possibility. I think it is safe to say that despite a pretty close competition, the best of the V-6 muscle is the Challenger Rallye Redline, but it does not hit showrooms until April, so you’ll have to wait a little while.